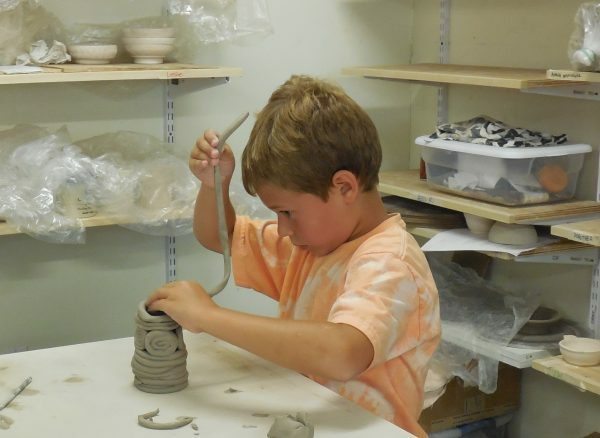 An eight-year old boy experiments with making sculptures. A retiree takes the drawing class she always meant to take. An amateur photographer wins a prize in a competitive juried show. These are reasons why the Falmouth Art Center exists. The Falmouth Art Center is dedicated to providing opportunities for people to create, share and enjoy art. We are open year-around and offer a full roster of exhibits and classes and workshops in a variety of media. The Falmouth Art Center, which opened in 2009, is a significant addition to the cultural life of Cape Cod. The building is fully accessible, and the three exhibition galleries are free and open to the public. We are a tax-exempt non-profit organization that is committed to serving a broad community through programming and collaborations. Your support will enable the Art Center to enrich the lives of all of us. For the love of art, please donate to the Falmouth Art Center. For information on donating securities or naming opportunities, please contact the Art Center at 508-540-3304.